Pennsylvanians gathered today at the PA State Capitol to kick off Dairy Month with the annual “Farm Show in June” celebration. Guests savored free, world-famous PA Dairymen’s Farm Show Milkshakes, live music, dairy calves, selfies, PA’s Dairy Princess Royalty, and guest appearances by former Philadelphia Eagles star wide receiver Jason Avant and former “The Voice” contestant Olivia Farabaugh. Teaming up with Feeding Pennsylvania food banks, corporate partners, and the public, PA Dairy Farmers called for all Pennsylvanians to join them to help end hunger statewide through the Fill a Glass with Hope® initiative, the first statewide charitable fresh milk program in the U.S. that offers fresh milk to families in need. Attendees were encouraged to donate to Fill a Glass with Hope® with every $1 donation providing on average eight glasses of fresh milk distributed to clients through Feeding PA and its statewide network of food banks. More than 1.6 million Pennsylvanians are at risk for hunger and nearly half a million of them are children. One in five Pennsylvania children goes hungry every day. To help alleviate hunger, Pennsylvania’s dairy industry and charitable food assistance organizations partnered to launch Fill a Glass with Hope® (FAGWH) in 2015. To date, FAGWH has raised more than $1 million and provided more than 7 million servings of fresh milk across the state. 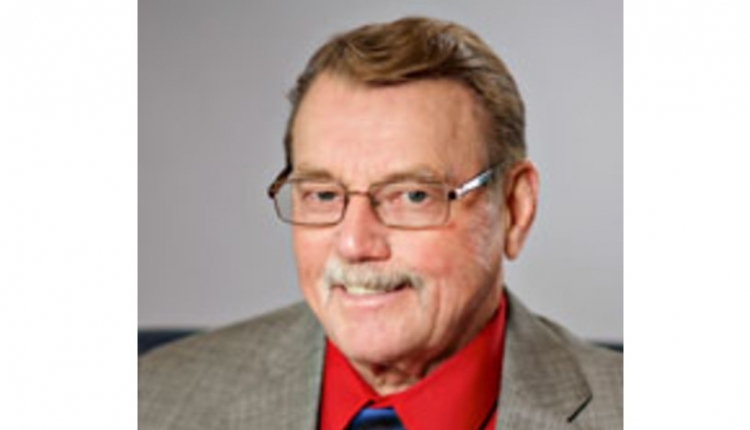 Partners include the American Dairy Association North East, PA Dairymen’s Association, Feeding Pennsylvania, individual donors, and corporate leaders. Every 10 dairy cows support one job in Pennsylvania. A single 8-ounce glass of real milk packs 8 grams of protein, virtually unrivaled by any beverage alternative. Milk also contains nine nutrients essential to building strong minds and bodies. Milk is also the Commonwealth’s official state beverage and chocolate milk is the official beverage of the Pennsylvania Interscholastic Athletic Association (PIAA). Lebanon County dairy farmer Stacey Copenhaver, who is featured in the new Choose PA Dairy: Goodness That Matters media campaign added, "We are proud to be dairy farmers in this great state of Pennsylvania. It is an honor to produce fresh, local milk for so many communities in our region, as well as to support local jobs and the economy. As a dairy family, we are dedicated to ensuring that delicious and nutritious milk continues to flow from our farm to other Pennsylvania families and to support hunger prevention programs like Fill a Glass with Hope." Also announced today was a special partnership with the Outdoor Advertising Association of Pennsylvania. Billboards will appear across the state throughout the Summer and into September, which is Hunger Action Month, encouraging Pennsylvanians to help tackle hunger and donate to the Fill a Glass with Hope® campaign to feed Pennsylvania children. The festivities ended with a celebratory milkshake toast. To donate, please visit www.feedingpa.org/milk. Farm Show in June is sponsored by the Pennsylvania Dairymen’s Association, American Dairy Association North East, PennAg Industries Association, Feeding Pennsylvania, and the Center for Dairy Excellence. The ceremony bolstered the Choose PA Dairy: Goodness That Matters campaign launched by dairy leaders and farmers last month to promote the health benefits of consuming fresh, local milk and the powerful economic impact of dairy farming in Pennsylvania. Pennsylvania’s dairy industry supports 52,000 jobs statewide and generates nearly $15 billion in economic activity. 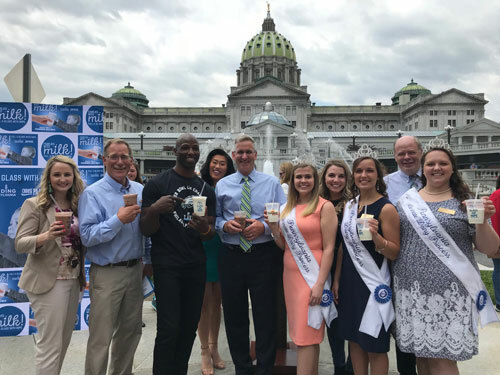 Dairy leaders and farmers in May unveiled Choose PA Dairy: Goodness That Matters, a multimedia campaign to highlight the benefits of consuming fresh, local milk and to help grow and support dairy jobs in Pennsylvania. Consumers can find places to purchase PA milk at www.choosepadairy.com and are encouraged to look for the PA Preferred logo or the plant code 42 on milk containers to assure it was produced and processed in the Keystone State. A statewide television, radio, and billboard advertising campaign for PA Dairy is underway. Campaign sponsors are The Center for Dairy Excellence; PA Dairymen’s Association; American Dairy Association North East; Professional Dairy Managers of Pennsylvania; PA Dairy Princesses Program, the Pennsylvania Farm Bureau, and the Lebanon County Dairy Promotion Program, and with the participation of the PA Department of Agriculture.